BatteryProtect is one of those smaller but much sought after products, one that is shipped in the many thousands. The latest version now has Victron ‘Smart’ tech. 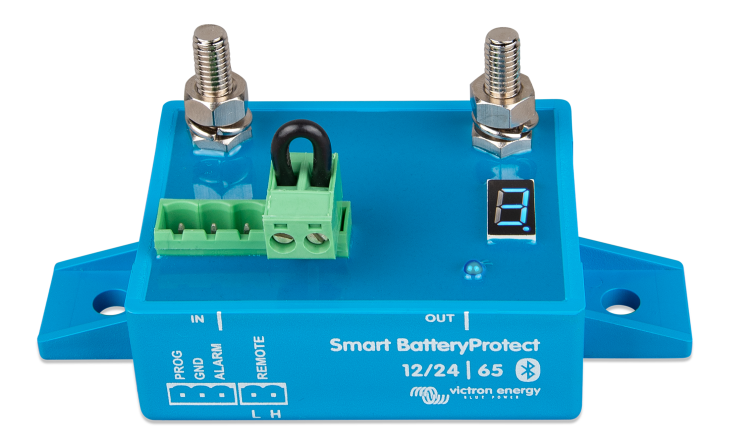 No more fiddling with wires to program, as the new Smart BatteryProtect uses VictronConnect over Bluetooth to simplify and reduce setup time. 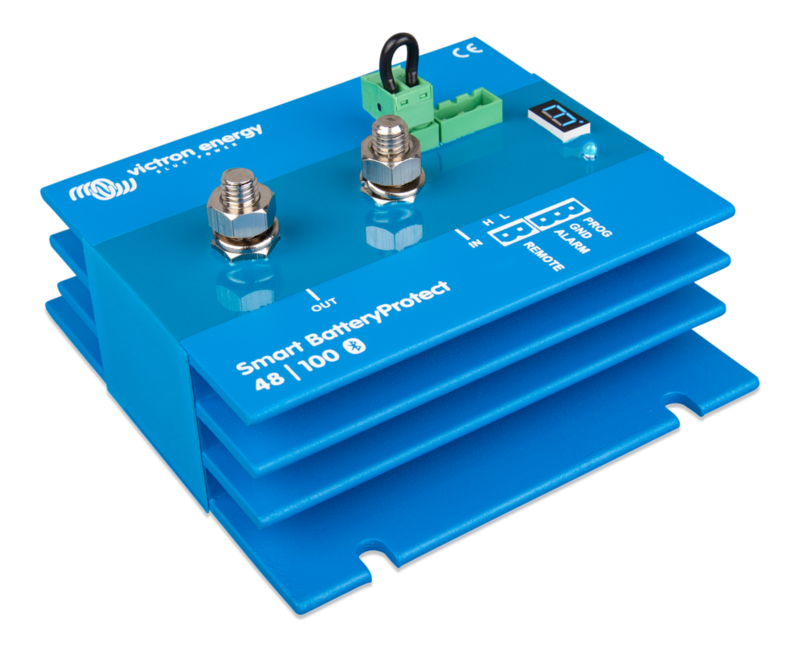 Smart BatteryProtect is used to disconnect a battery from non-essential loads before it is completely discharged (which would damage the battery) or before it has insufficient power left to crank an engine for example. 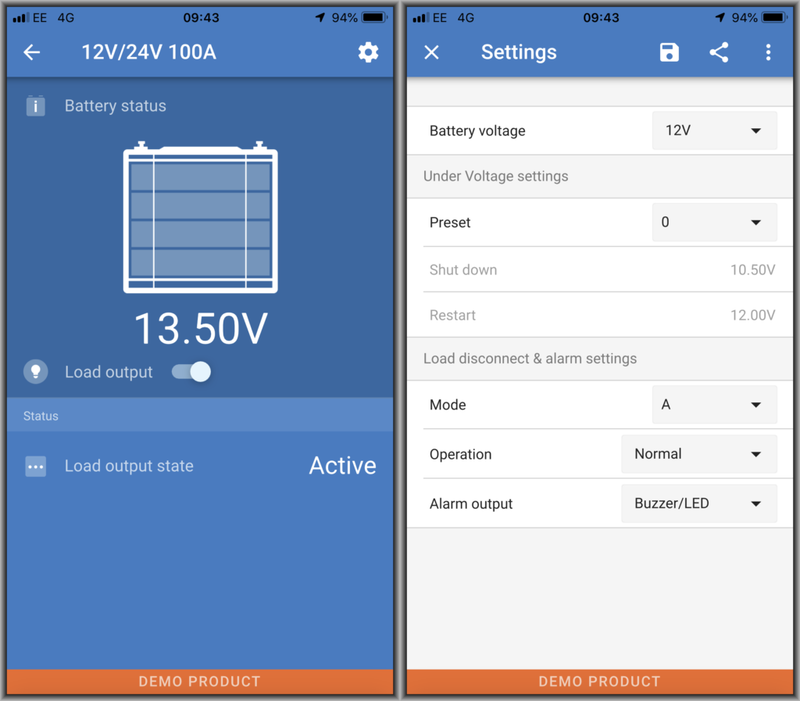 Voltage and current ratings to suit the majority of applications. Often used in lithium systems due to low standby current in comparison to a relay. Lithium system remotely controllable disconnect switch. Ideal for vehicles, solar installations, boats and motorhomes. Solid state switching for ignition proof safety and longevity. Lower energy consumption than closing a relay. Use the Load output toggle switch as a battery isolator. Auto voltage detect or choose from 12V or 24V for the 12-24V models. Choose from a range of presets or user defined vales for under voltage shut down and restart voltages. Choose from 3 modes for load disconnect and alarm settings: Buzzer/LED, Relay or Li-ion modes. Choose from Relay or Buzzer/LED for Alarm Output. Share and/or Save Settings to File.